Very simple to make, and we were able to let the salad sit for about 40 minutes before eating it which allowed time for the flavors to develop. We used a pretty large cucumber and still found that there was a lot of excess dressing--next time I would probably use two medium cucumbers instead of one large one. This made a nice, easy side. Similar to the "Smacked cucumber in garlicky sauce" on p. 34 of Every Grain of Rice, but with slightly different ingredient quantities (a little more garlic, a lot more sugar and Chinkiang vinegar here) and no chilli oil. I think I slightly prefer the other one more as I like the spiciness, but I love the sweet and sour vinegary-ness of this one too. Might try using this recipe but with a Tbsp or so of chilli oil added for the perfect combination between the two. Very good, I now make often for a quick snack before a larger meal. The Chinkiang vinegar is key. This is more a technique/variation than a real recipe. Fuchsia did not mention needing to smack and split the cucumber for this salad so I didn't bother and only sliced it into 1/8" rounds. I used the above quick cucumber salad recipe as a guideline for the garlic and sugar quantities, and I didn't have any pickled chili so I just added a splash of Chinkiang vinegar for some acid. I think I prefer the more complex flavors of some of Fuchsia's other cucumber salad recipes, as this one is VERY simple, but it's nice too! The cucumber tianmianjiang combo is reminiscent of Peking duck or zha Jiang mian. An assertive radish works even better with this sauce than a cucumber. Very tasty! I did not have superfine sugar so I used regular and it was totally okay, just took a little longer to dissolve. Keep in mind that while this is a very simple dish to throw together, the radishes do need to sit for a couple hours after salting. Another easy, fresh vegetable appetizer from this book. I didn't read the instructions carefully, and so failed to allot the several hours needed to properly salt the radishes--they salted for maybe 40 minutes total. The final dish was still very flavorful so I don't think the radishes suffered too badly. Perfect alongside the quick cucumbers and also the shiitake mushrooms. I’ve made with both regular and superfine sugar....it may be all in my head, but I think the superfine is always better. I’ve also played with the time, and do recommend following the instructions for the best flavor. The technique for lightly cracking can be confusing, I’ve cut into half’s and quarters with good results. Agree with Krista on this. The stems were delicious but the leaves were extremely salty. But the shrunken bok choy were beautiful so I would try again with a lower-salt soy sauce. This was so simple to make but surprisingly good! 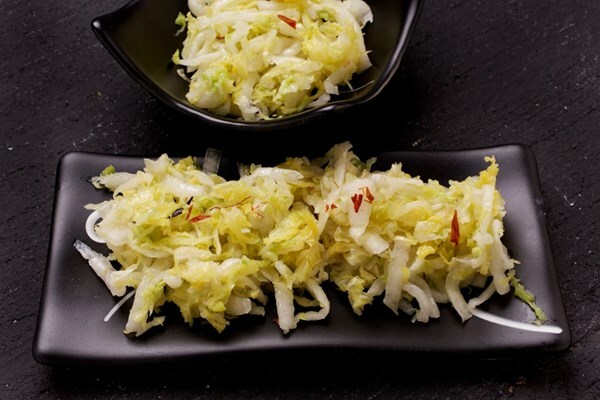 The cabbage develops a spicy flavor that is just perfect, not too intense but still flavorful. After the cabbage is salted, tossed with some Sichuan peppercorns and pressed in its own juices for a few hours, you drop some dried, sliced chiles into hot oil, then toss the cabbage into the infused oil and serve. We were only able to let the cabbage press for a few hours before cooking it--I would love to try this dish again and let the cabbage go overnight. Next time I will also try the variation that uses chankiang vinegar and sesame oil. Good, simple cabbage recipe. I did the black vinegar and sesame oil variation, which I enjoyed a lot, although we did need to add a touch more of the vinegar than called for in the recipe (for our tastes). It had a goldilocks heat level, just enough to warm your mouth without making you sweat. I committed the cardinal sin of not reading the recipe through all the way and, having laboriously chopped all of the vegetables, almost cried when I saw that I was going to have to cook them all separately. It's a good salad, full of different flavours and contrasts and colours. But it's a high ratio of effort for the payoff. It reminds me a lot, in appearance, flavour, and cooking method, of the Korean noodle dish japchae. (I would perhaps reduce the sugar next time.) This made a mountain of vegetables, probably sufficient for 5 people as a side dish with 2-3 other dishes. Very flavorful, and a favorite addition to radishes and cucumber recipes from this section. The ingredients are all pantry standards now for me, so I can easily make this snack for guests. Wow, these are just addictively good. You sliver the mushrooms into thin pieces and then deep-fry them twice (I'm not sure why you couldn't just deep-fry them once for a longer amount of time, but I didn't want to second guess Ms. Dunlop). Then, heat up a smaller quantity of oil until it smokes, and pour it over a pile of thinly sliced scallions. This releases their flavor and imbues the oil with a delicious oniony taste. You then toss the fried mushrooms--which are now tiny and crisp--with the infused oil, plus equal parts salt and sugar. We ate these hot, while they were still very crisp, but I snuck another later in the evening and it was still delicious at room temp (albeit a bit more soft). This delicious little appetizer would make a worthy addition to any Chinese meal. They stole the show for us. French-fried mushrooms! How did the West never think of these? These are very, very good. The oyster mushrooms ended up wonderfully crispy; the King oyster mushrooms were somewhat chewy (I did cook them separately), next time I might use all oyster mushrooms. The scallion-infused oil was very aromatic and added to the flavour, but I am torn about pouring so much oil on top of already deep-fried food (making it less crispy to boot)! Next time I might simply sprinkle chopped scallions on top. Made the stuffed version. Thought I understood the instructions but Must have done something wrong - the tofu was too chewy to eat. I made the stuffed "roast duck" version. I've bought these pre-made in Asian grocery stores before, so I had an idea of what it is supposed to be like. That said, I found the recipe itself very tricky. My tofu sheets were not the same size and they were exceptionally fragile. There was no way I was going to be able to trim them in the described shape. Given their state, I pre-soaked them as I would other tofu skin products (hot water in a pan until very pliable) then made some decently wrapped "burrito" like logs. I only managed to half-fry them as they were starting to fall apart when I tried to flip them. Because I soaked them in water I had plenty of flavoring broth left over, so I brought the broth to a boil and added some potato starch slurry to thicken it a bit and poured that over the tofu. I gave it four stars for flavor as I adore tofu skins, but between the prep work, the steaming, and the frying this is not an easy dish for a weeknight. 12-25-2017 I've made this several times, and it always comes out great. It is important to buy the frozen tofu skins, and not the dehydrated ones. I've played around using different fillings, and different gravy, adapting it to fit an American Thanksgiving or Christmas menu. But I always follow the technique in this recipe, and it is perfect every time. Very easy and delicious. I found that the addition of soy sauce precluded the need for salt. Easy and delicious. The hot oil gives it a nice smoky flavour. Agreed with krista_jo that it's very easy and delicious. I loved the coolness on a hot summer day, too. Only change I'd make is to add more soy or some salt. I added some to my plate and that perked it right up! It might have been just my soy sauce, but something to watch for. Truly subtly delicious. Fresh fava beans are a must for this recipe. A really excellent blend of flavoury and textures. Not very spicy at all, however, despite the name. Excellent! The pork belly pieces were truly melt in your mouth tender and the eggs were very flavorful, the slits cut on the eggs really let the braising liquid penetrate into them well. However, my dish did not look as pretty as pictured, it was not as dark even though I used double dark soy. This was delicious! As the below comment noted, the braising liquid is not at all as dark as the picture (I also used dark soy sauce), but it is very flavorful. I made this dish all in one day, braising it in the morning and then letting it refrigerate for a few hours. So much fat came out of the braising liquid that I am glad I didn't skip the refrigeration step. After reducing the sauce, I added about a teaspoon of corn starch because it still wasn't as thick as I wanted. I loved the technique of boiling the pork belly before slicing it--it was SO easy to slice as a result and I didn't have to handle raw meat! Next time I think I would try the pork-only variation of this dish. H liked the braised eggs a bit more than I did, but we both felt they became too mushy after so much simmering. Normally I love eggs in any form so I was surprised that I didn't love them here, but I did appreciate how pretty they looked, all covered in slits. A very tasty recipe. Definitely worth the time. I think this is one of those textural dishes that I didn't really "get". I did hand-chop the meat. Very soft, very fatty. Would probable be best served as a couple of bites paired with other crisp, acidic foods. I struggled a bit with this recipe--I didn't have enough frying oil to totally submerge the pork pieces, and as a result, most of the pork's breading batter stuck to the bottom of the pan and came off. Despite this initial disaster, the final dish was quite good--the sauce thickened up nicely because of all the starch (we used corn starch rather than potato), and once the pork was all blanketed in the gorgeous dark sauce, you couldn't tell that the breading had come off. We really enjoyed the end result, but this dish is RICH. A lot of plain rice is needed to offset the sweet-and-sour flavor. If I make this again, I'd skip the batter frying step entirely and just marinate the pork in some shaoxing wine and salt before stir-frying it and coating in the sauce. The sauce is already so rich and delicious that batter-frying the pork seems like gilding the lily. We loved this dish. I deep fried in a wok and made another deep fried dish alongside to feel less like I was heedlessly wasting oil, and a few cups was enough. However, I may have left the pork in too long for one of the steps as at the end it was slightly overcooked; I would probably do less time in the first trip through the oil as it seems most likely that's where I messed up. The sauce itself is just amazing - I can't stop thinking about it several days later. Like the other reviewer, we plan to make this again without the deep-frying step to make something a little easier and less over the top for a weeknight. We will make it again as written sometime for a celebration meal, though. Dunlop notes in the recipe header that this dish can be used as a loose template for all sorts of stir-fries, subbing out different meats and vegetables as needed. So, I took her up on it and substituted chicken for the pork, and carrots for the flowering chives. This is a quick, easy stirfry that is mildly flavored, but still tasty. I skimped on the ginger, which was a mistake. Next time I'd throw in a bigger handful of ginger slivers. A thorough salting plus the dash of sesame oil at the end really makes the flavor here. This dish was not really impressive enough for a weekend dinner, but would certainly make a solid weeknight meal, and it's both fast and adaptable. I loved the delicacy of the flavours and it is incredibly easy to make. My husband found it too bland and, to my dismay, added chilli sauce. Each to their own, however if you want strong flavours this recipe may not be the answer. Quick and easy. I only had about a 1.5 oz piece of ginger on hand, so I'm sure it would be better with the full amount, but it was still good... and I'm not sure my ginger was really "young" as all the stuff in chinatown here looks pretty similar in terms of freshness, but still, good. The sauce was great and thickened up nicely, I wish there was more of it! Makes a rather small portion -- it was enough for two of us over rice with plenty of bok choy on the side, but no leftovers. I might make this to serve just myself with slightly less chicken but the whole amount of sauce. Per Smokeydoke's recommendation, we tried this dish out for dinner tonight, and can confirm that it is both simple and delicious! My boyfriend cooked tonight and said that peeling the shrimp took longer than any of the actual cooking. This was so good over white rice and, even though the flavor is simple, it's really very tasty. A nice back pocket weeknight meal for sure. Delicious in its simplicity. Not much more than shrimp and scrambled eggs, but the combination is addicting. My favorite dish from the book so far. Simple and good! I used scallions rather than chives, as usual. I used a full-sized skillet for a half-recipe, and next time I think I'd use a small skillet instead to end up with a bit of a taller omelet, like in the picture. Over some white rice this made a really nice, extremely fast lunch. Not bad but I prefer stir-fried eggs with tomatoes. Might reduce the amount of chives next time. Quite subtle. Harder than it looks to attractively arrange the ingredients on top (and keep in mind the ham will shrink when heated). Very easy and quite tasty. Make sure to use a fish whose skin you'd want to eat. The tea was tasty but there seemed to be too much starch. I followed the directions faithfully, but found the final dish to be very bland. It's rare to find a Dunlop recipe I don't like, so this was surprising. We all, including the small person and the other big person that dislikes mushrooms, really enjoyed this dish. So.... this is a definite repeat for us. Changes I made: I left the chiles out (and just had some chile oil on the side); used pickled mustard greens in place of Chinese snow vegetable; and used cremini mushrooms in place of king oyster mushrooms. The pickles really added a great funky note to the dish. Tasty! Be sure to evenly soak all sides of the gluten puffs. I always have on hand varieties of dried shrimp, scallops, and anchovies to add quick, savory, umami kick to recipes and this recipe was no exception. Excellent taste with minimal ingredients and so quick to make. After heating the rehydrated shrimp (I used sake) in a wok with some oil until fragrant only 2-3 min cooking of bok choy and small amount of stock with cover on. That's it! Will be repeating this for our Thanksgiving dinner. Incredibly quick and easy. Agree with clcorbi that the bok choy gets infused with the shrimp flavor. I forgot to add the potato starch slurry and felt it tasted great without it, btw. I would further reiterate the comments that this is simple and delicious. We used cornstarch rather than potato starch with no ill effect. We both really enjoyed how the bok choy sort of became infused with the shrimp flavor. Another plus: this took only about 5 minutes to cook. Simple but delicious. I did use the optional potato starch slurry at the end to finish the sauce, and I think it added a nice touch. I could probably eat the whole batch of this over some rice as a main (it doesn't make a ton), but it was also the perfect portion for two of us as a side. Will absolutely make again. This is delicious. It looks so simple you wonder how good it could really be, but the dried shrimp give a complex flavor. Definitely a repeater recipe here! A weekly standby! Cheap, easy, tasty. Your friends will be surprised that it's just lettuce, oil and salt! This was surprisingly good! The ingredients were each crunchy but differently so. And, wonder of wonders, I microwaved the leftovers the next day and they REMAINED crunchy. I also liked the white-on-white with a bit of celery for contrast. This stirfry was so intriguing to me that I finally had to give it a go, and I'm glad I did, but the recipe needs modifications next time. First--I was hesitant about only using 9 dried mushrooms, thinking we would end up with almost no food, and I was right. I wish I had used twice as many--we had SO much extra sauce! I had no bell pepper, so I subbed a handful of thinly sliced celery--I should have added a couple of handfuls to bulk up this dish, as the sauce was just totally overpowering. Second--next time I'd cut back the sugar in the sauce. I think the intended effect here was "sweet and sour", but the sauce veered way too far towards the sweet side of the spectrum. The "eels" do have an interesting, chewy texture that is reminiscent of meat, so I am glad I tried this, but wouldn't make again without these changes. Easy but boring. The pickle flavoury the broth but loses flavour of its own in so doing. Good stock is a must for this because the eggs and the squash add zero flavour. A little involved but well worth the effort! We both went back for seconds. A really great combination of tastes and textures. It's a little misleading to call it "fish soup" -- it tastes mushroomy and chickeny and hammy too! Agree that the recipe as written is bland. I also wish I would have allowed the bacon to crisp up, although the instructions specifically said not to do that. Not a fried rice recipe I need to repeat. A basic fried rice, a bit bland. I doubled the pork so Mr. Smokey would eat it. Made for lunch today to use up leftovers. Very simple and homey. We doctored our bowls with rice vinegar (would have preferred black vinegar but I currently have none), and Sriracha. This soup needs plenty of salt. A good way to use up leftover rice! 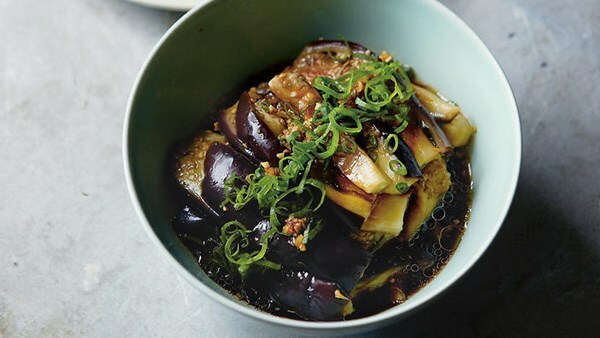 A good, simple, quick, pantry-cupboard sort of dish (if you have rice cakes in the freezer and bok choy in the fridge). Not spectacular, however. Really good! The scallions and shrimp add great flavour and texture. I added some leftover fish and the noodles just sang. Oh my goodness, these noodles are delicious. I ate alone this evening so I halved the recipe, and the prep just flew by. I used normal soy sauce rather than light, so I decreased my quantity by half a teaspoon and it tasted just right. I used the full amount of oil called for, and although it is essential to have a good amount of oil to spread the delicious infused scallion/shrimp flavor, I think I could get away with using a little less next time. These noodles were so delicious that I wished I had made the full recipe--I could definitely have finished them all. I will be making this again as it is quick, pantry-friendly, and absolutely full of flavor. I still love these noodles and make them all the time. I made a half-recipe for myself as a late-night snack last night, and decreased the cooking oil by 1T, which was just right for me. I only realized after I had started cooking that I was out of scallions, so I desperately subbed some sliced garlic. And you know what? It wasn't quite as tasty, of course, but the result was still pretty delicious. I started out thinking this recipe was a touch bland, but quickly changed my mind. It's a subtle umami-rich flavor that grows as you eat the dish. It balanced out a spicier cabbage dish nicely and I'd pair with a similar crunch/spicy dish again. A repeat for sure. I did substitute a lean pork loin for the pork belly due to my husband's preference. I can see how it would be even more rich and unctuous with the belly, which would be delicious, too. Well worth the effort! Crispy! Soft! Hot! Umami! A showstopper. I used the filling in a basic baked bun recipe, so the review is only for the filling and not the dough. Filling had decent flavor, but wasn't all that exciting. Good, but not great. Next time, I think I'd rather spend a little more time on a more involved filling, if I'm already spending time on making the buns themselves. Found this tea at a Chinese pharmacy -- it's my new favourite and worth seeking out. I can drink it all afternoon. The Lower Yangtze region or Jiangnan, with its modern capital Shanghai, has been known since ancient times as a 'Land of Fish and Rice'. For centuries, local cooks have been using the plentiful produce of its lakes, rivers, fields and mountains, combined with delicious seasonings and flavours such as rice vinegar, rich soy sauce, spring onion and ginger, to create a cuisine that is renowned in China for its delicacy and beauty. 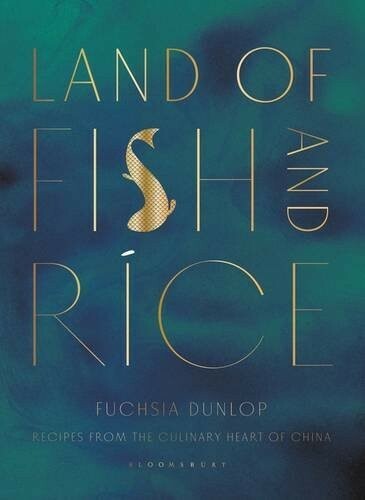 Drawing on years of study and exploration, Fuchsia Dunlop explains basic cooking techniques, typical cooking methods and the principal ingredients of the Jiangnan larder. Her recipes are a mixture of simple rustic cooking and rich delicacies – some are famous, some unsung. You'll be inspired to try classic dishes such as Beggar's chicken and sumptuous Dongpo pork. Most of the recipes contain readily available ingredients and with Fuchsia's clear guidance, you will soon see how simple it is to create some of the most beautiful and delicious dishes you'll ever taste. With evocative writing and mouth-watering photography, this is an important new work about one of China's most fascinating culinary regions.